The human being as a source of energy through his own vital rhythm; the application of new artificial senses in the body to capture the reality that we can’t perceive; the hidden digital code behind the everyday life or the perfect fusion between science and music born from the nuclear fusion accompanied by analog instruments and real footage. These are some of the projects that Innovalia invites us to discover at Technarte 2018. 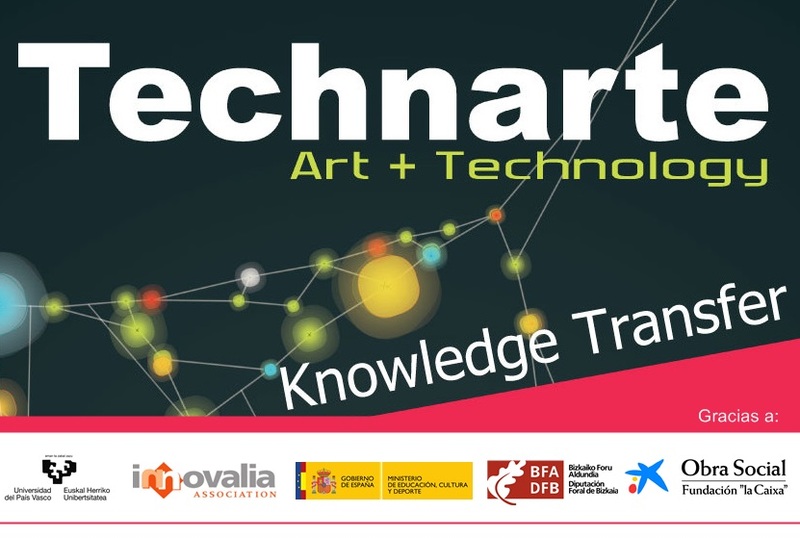 On April 17th and 18th at the Bizkaia Aretoa, Technarte will bring together 15 artists from all around the world, who, over two days will present the most innovative creations of the scientific-technological-artistic field. With important support from the la Fundación Obra Social La Caixa, the provincial council of Bizkaia, the ministry of culture and sports education, the Basque Country university and organized by the Innovalia Association, Technarte will display in the 2-day conference the most striking creations of the current scene. Innovalia, organizer of the Conference, has positioned Technarte not only as a reference meeting for artists, developers and creatives, but also as the only event that hosts artistic-technological developments. Bilbao will become the world meeting point of art and technology, where the 15 international artists will show their works and artistic careers where technology is the main element of the productive processes. “Dale a mi creación … ¡vida!” Creates a reality where the human heart can perform as the power battery of a system, creating an energy autonomy for internal devices. The human being as a source of energy through its own vital rhythm, providing energy to the machines and, therefore, life. This links art, science and technology and it’s creators OPN Studio, have faced multiple problems such as the life of a eliminated organ, its artificial nutrients feeding and its use of a natural energy source. The result is a bunch of experiences materialized in three conclusions that will be revealed in an exciting 45-minute presentation at Technarte. 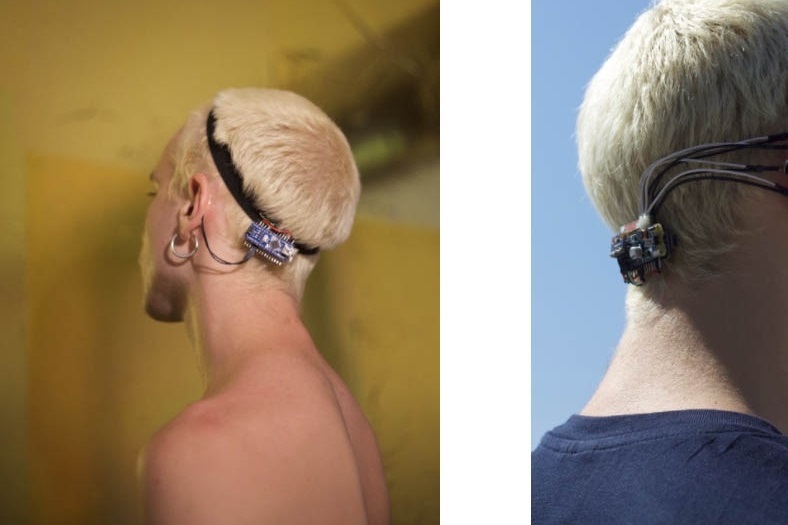 Also very linked to the human body, “On Sensography” will be about a new artistic discipline that arises from the application of new artificial senses to the body to capture this way the reality that we can’t perceive. Technarte has also a place for artistic education, linked to programming in a discipline called creative coding. The code shapes our environment, either as the basis of global data flow or behind the interfaces of Google, Facebook, Instagram, etc. Sabine Faller and Barbara Zoé Kiolbassa have developed an exhibition called “Open Codes”. 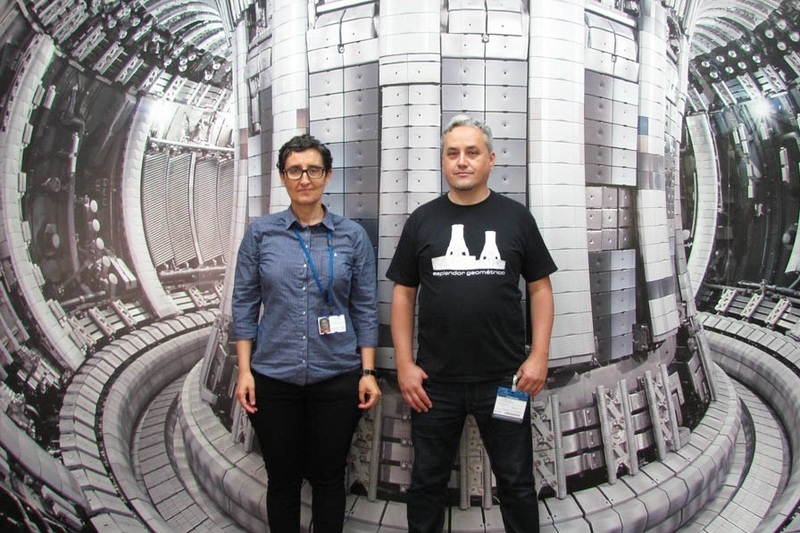 Technarte will host this time the very well-known “JET – Dispositivo Fusión Nuclear” from Poupees electriques. Fifteen years long Poupees Electriques have incorporated new technologies and primordial electronic instruments like the theremin and the futuristic intonarrumori in their shows, always focusing their work towards live performance. In addition to making film’s soundtracks such as Memoria Viva documentary (directed by Antonio J.García Quirós) or Amnesty International’s Exige Dignidad 2009 campaign, Poupees Electriques have already published several works: End of Diversion (live CD, Self-produced, 2009), CNT 1910-2010 Viva la Utopía (live DVD, Fundación Anselmo Lorenzo, 2011) and their latest work JET – Nuclear Fusion Device (CD, Geometrik Records, 2017). With its internal small sun JET becomes an interpreter showing the world how nuclear fusion sounds. This sound trip will allow us to hear the heart of the future’s power, accompanied by analogue instruments and real footage from the experiments. Music and science become one thanks to Poupees Electriques shaping their new show “JET – Nuclear Fusion Device”, a particular sound structure where JET’s raw sounds are reinterpreted through rhythm, instrumentation, experimentation, tonality and atonality, based on audio and video archives of plasma experiments performed at the CCFE facilities (Culham Centre for Fusion Energy) in Culham, UK, and field recordings carried out in 2016 by Poupees Electriques and the physicist Ana Manzanares. UNIMETRIK starts its work on digital enhancement of ZDM equipment for autonomous quality operations within the framework of QU4LITY.